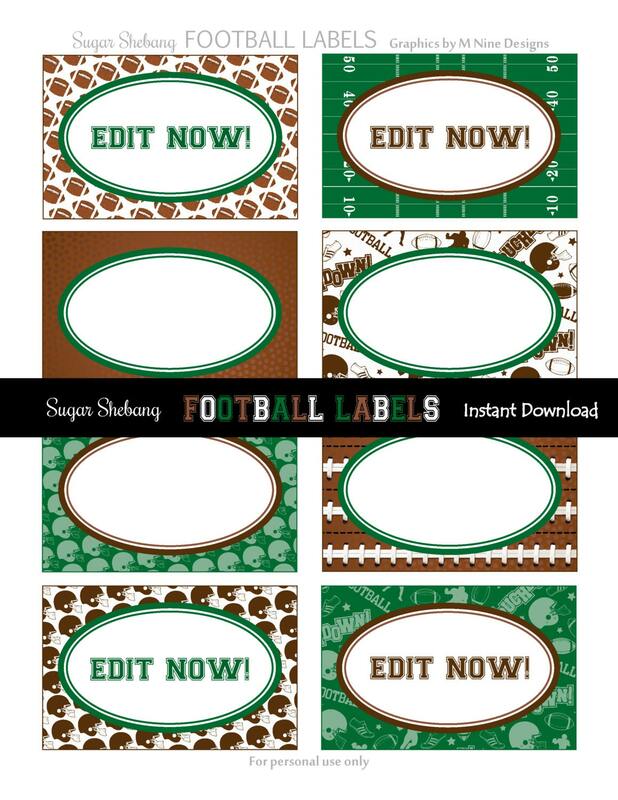 Football Party Labels! DIY instant download- NO WAITING!! Start RIGHT NOW and just type over the sample text. Edit with the latest version of Adobe Reader. 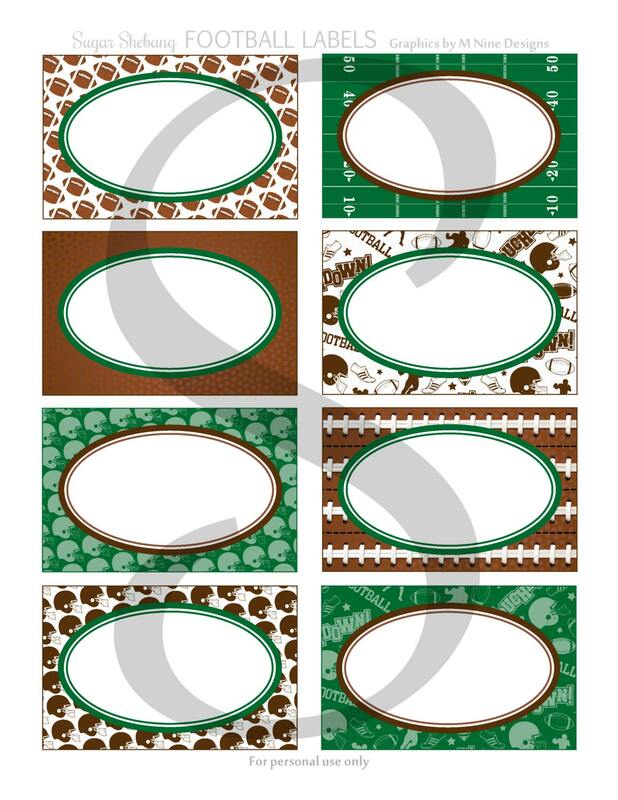 •DIY- You can EDIT these labels for your special event to use as food signs, favor tags, or anything else you'd like! •Editable and printable PDF and JPG labels (3.5x2.25) inches - 8 per page. Print as many as you need! • If you prefer to use the JPG file, you can edit it at PicMonkey.com using the text tool. Or- a little secret- you can actually do this in Microsoft Word! If you create a new document in Word, go to "insert", and select "picture". You can then browse to find the JPG. Once found, you can re-size it to your liking (it's easier if you wrap picture in front of text- PAGE LAYOUT>>TEXT WRAPPING). Then go to "insert", and select "text box". This will put a text box over the image for you to type on. See included PDF for more details!